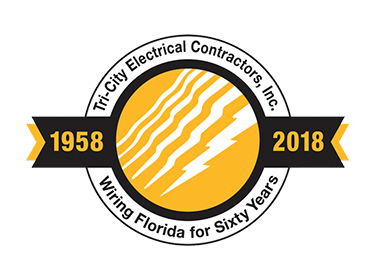 Florida's leader in electrical contracting, communications & service. Powering-up Florida For Over 60 Years! 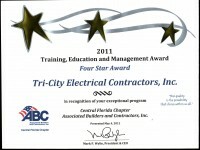 Tri-City Electrical Contractors, Inc. was the recipient of the Five Star Award, awarded in May 2012, by the Central Florida Chapter of ABC. ABC’s Education Awards, also known as the TEAM (Training, education and Management) Awards, is a way of recognizing its members for their outstanding training programs. 2018 ABC Excellence In Construction Awards!